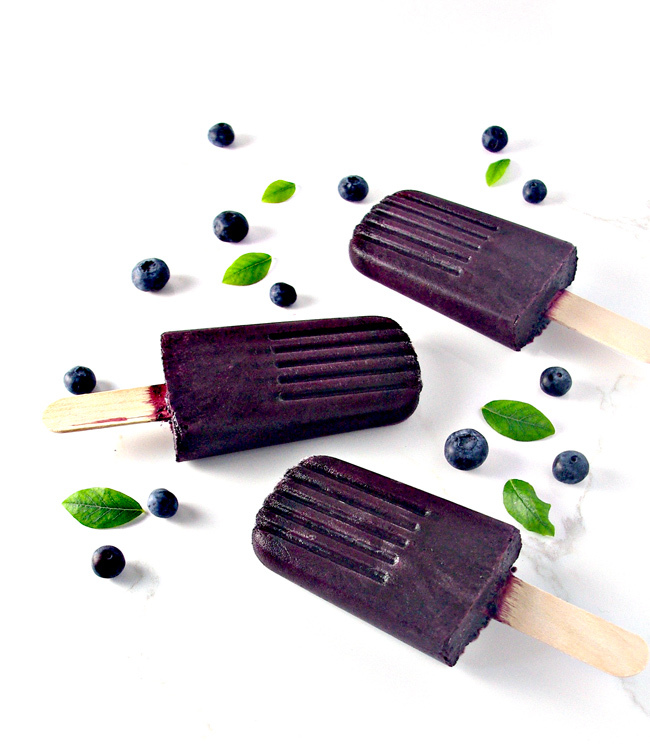 Happy National Blueberry Popsicle Day, Spiriteds! Although September often marks the beginning of fall, it’s still technically summer, and I say we eat all the popsicles we can. Also, I say we eat popsicles whenever we want, seasons be damned. We’re calling this time of year “summerfall” because I have a ridiculous habit of creating portmanteaux. Summerfall sounds like a high brow last name, yet I like it better than “fallsum” or “Brangelina.” Neither caught on for me. To-MAY-to/To-MAH-to. 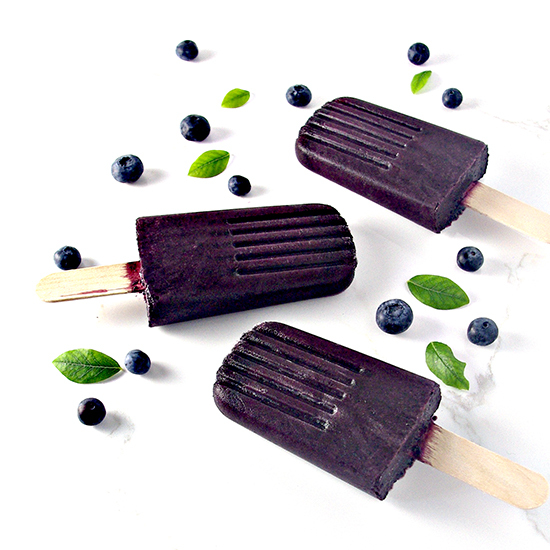 Regardless, let us sink our teeth into these Dairy-Free Blueberry Popsicles and live life on the wild side. As a double bonus, let us also chow down on these for Labor Day. Popsicles make everything better. They also seem to be the way I get my kids to eat foods they wouldn’t normally touch. Toodle doesn’t like fresh oranges and never cared for orange juice when she was little. But blend oranges with almond milk and freeze the mixture in a popsicle mould? She will eat ALL OF THAT and ask for more. Side Note: that recipe is coming to a blog near you. But about those fresh blueberries. Can we just ogle them a little bit? Because they are so divine in this recipe. 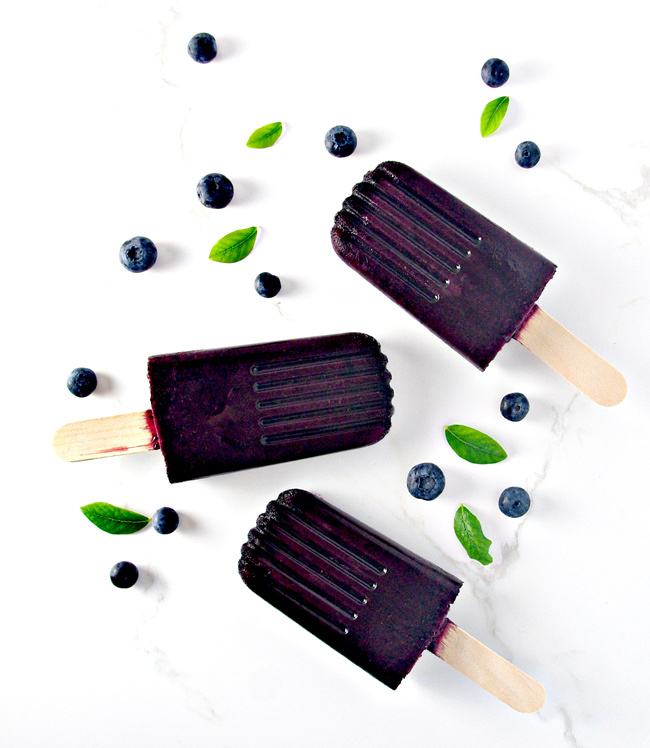 Dairy-Free Blueberry Popsicles are seriously a healthy treat that feel like a guilty pleasure or maybe harken back to the days of old when we were little and running around the yard barefoot. A few years ago I ran around barefoot (and pregnant, no less) because Toodle, my then three-and-a-half year-old, figured out the front door locks and took off in the neighborhood. How fast can a nine-months-pregnant woman run? Pretty fast. These days Twinkle and I are just putting our faces in these treats and calling the day a success. She helped me put the photoshoot together and offered her review of the recipe by not saying much. She was too busy scarfing (and then slurping) her popsicles. Four-year-olds give the best reviews because they have no dambs to give and really don’t spend time thinking about your feelings first and speaking words second. So when they don’t shout “ewww, that’s gross kinda” and instead barely come up for air, you know you have a winner. 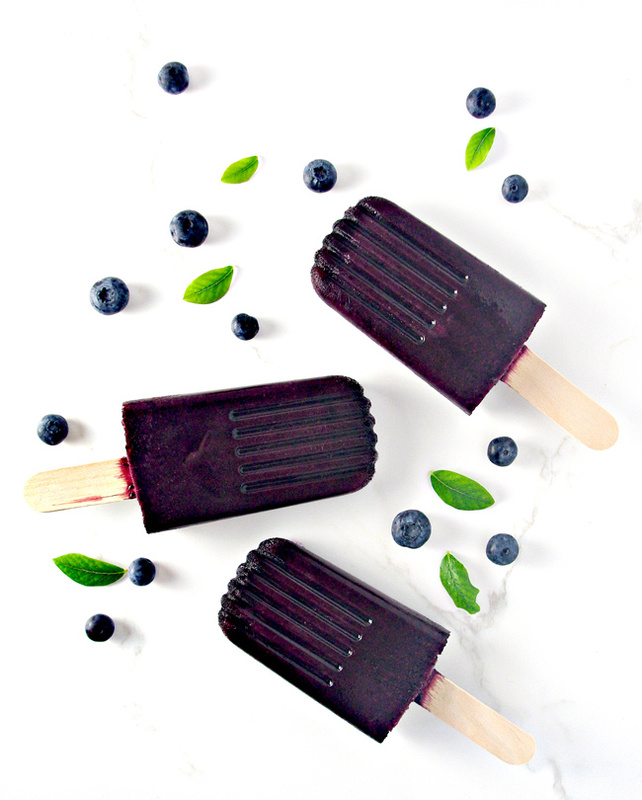 Which is totally legitimate given these Dairy-Free Blueberry Popsicles are also gluten-free and soy free, complete with vegan and paleo optional variations. 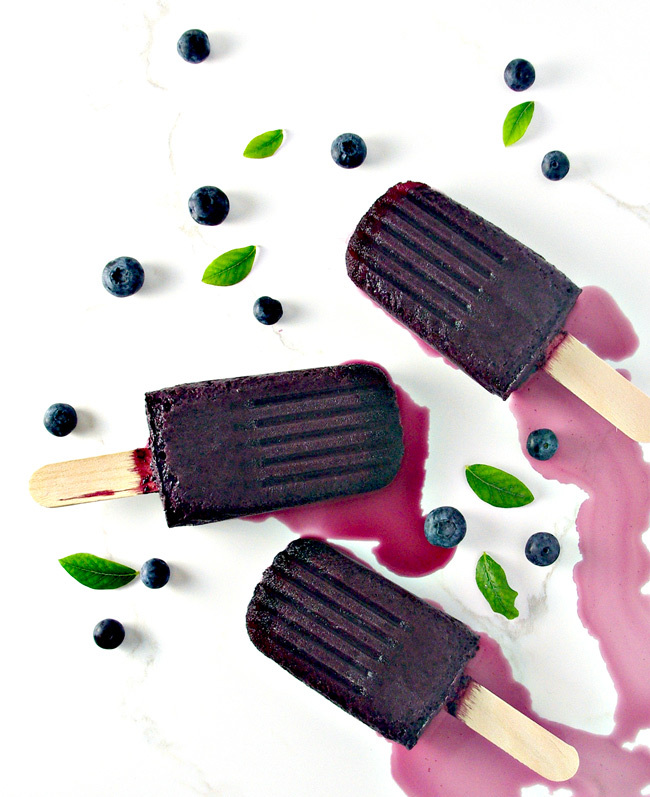 To make these Dairy-Free Blueberry Popsicles, all you will need is a handful of ingredients and a blender. 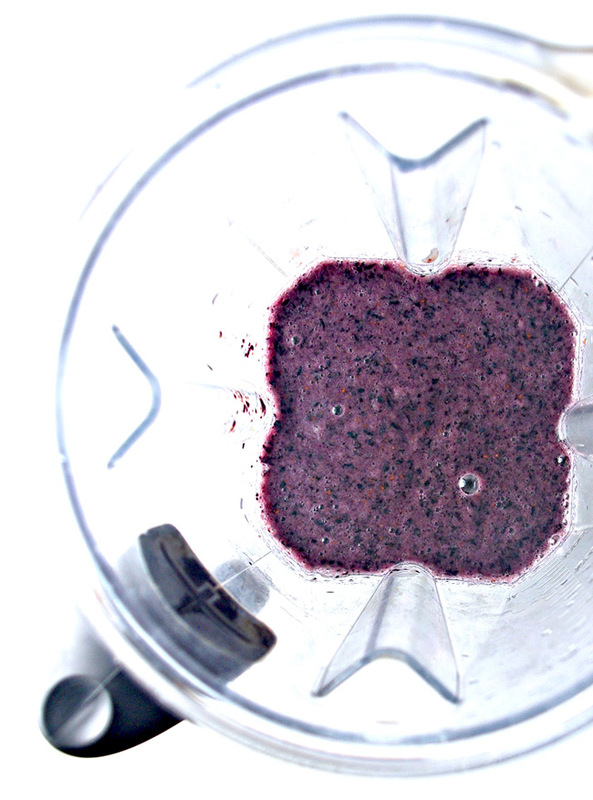 If you choose to use frozen blueberries, then you may need to add more milk to encourage even blending. 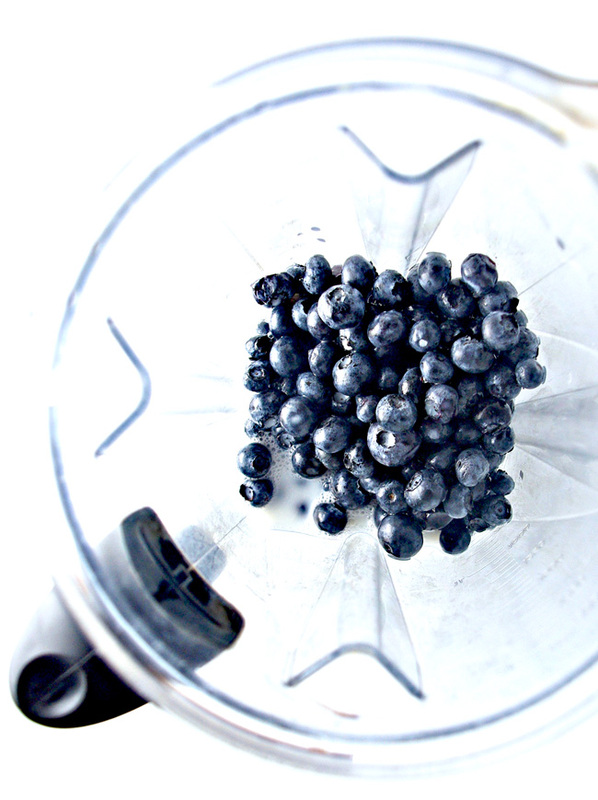 And if the frozen blueberries are thawed, drain the water before adding them to the blender so as not to dilute the flavor. If you plan to serve these to kids or in polite company, blend the mixture until smooth. You’ll notice in these pictures, I left my mixture a little “grainy.” It taste delicious, but please imagine the mess a seven-year-old and a four-year-old can make with one popsicle each! Add your choice of sweetener as necessary. I alternate between agave nectar and 100% pure honey. You could also use stevia. Play around with citrus flavors! I added lemon juice in this recipe, but I also think Orange would be delicious. And let us not forget almond and vanilla. However you choose to build your popsicles, I suspect they’ll taste delicious. Does summerfall get any better than that? No, Spiriteds, no, it does not. 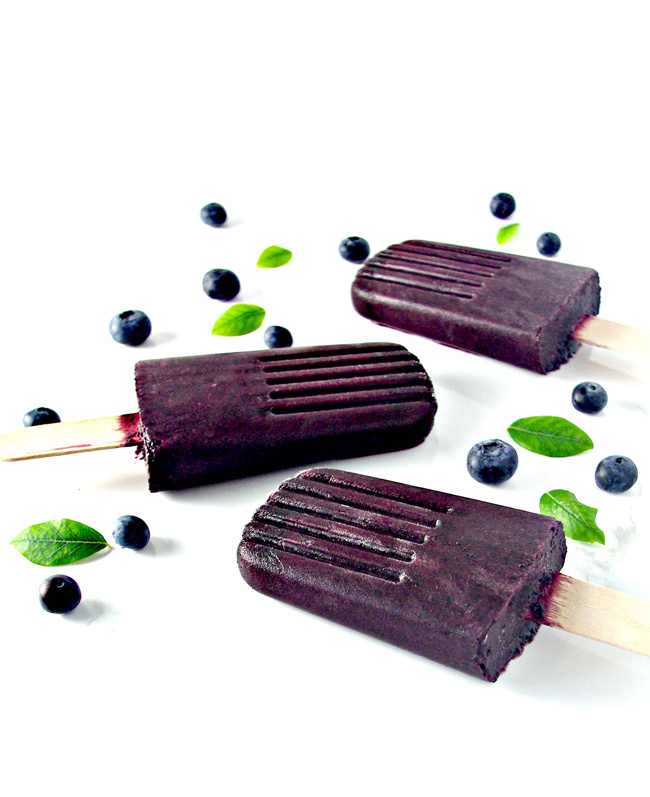 Pour into popsicle moulds and freeze for at least 4 hours. To remove the popsicles from their moulds, run them under cool water and gently rock the popsicle sticks back and forth until the popsicle separates from the mould.